Vice President M. Venkaiah Naidu. India is on the threshold of becoming one of the major economic powers and the private sector can play a huge role in accelerating the country’s growth and development, Vice President M Venkaiah Naidu said on Tuesday, according to a report in leading daily The Times of India quoting news agency Press Trust of India. Reformative measures like the introduction of Goods and Services Tax would improve the economy in the long run, although there might be some teething problems in the initial stages of implementation, Naidu said. “In the end, such reforms will also benefit the consumers,” he said, while unveiling the logo of the 90th year celebrations of local chapter of Indian Chamber of Commerce and Industry here tonight. “India has now emerged as one of the fastest growing economies in the world today. If this trend and momentum continues, India is poised to become the largest economy in the next 10-15 years,” Naidu said. “We in India are all committed to build a five-trillion-dollar economy by 2025, making India the 3rd largest consumer market in the world. 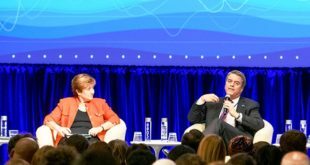 The latest report of the World Bank has forecast that the economy is projected to grow at 7.3 per cent in 2018-19 and 7.5 per cent in the next two years,” he said. The IMF has forecast that India would grow at more than 7 per cent in 2018 and 2019, ahead of other major economies, Naidu said. The policy initiatives taken by the Union government such as ‘Make in India’, ‘Skill India’, ‘Digital India’, ‘Smart Cities and Start-up India’ were opening up new opportunities, he said. The country has seen a strong global confidence in the India story with a surge in Foreign Direct Investments which reached over USD 62 billion in 2017-18. 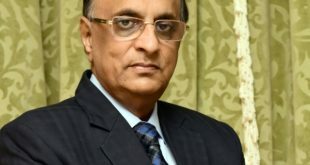 According to him, the government has taken several measures to cut down red tape, improve the ease of doing business, attract more investments and create a business-friendly environment. He termed demonetization and the introduction of GST as landmark initiatives aimed at ensuring transparency, eliminating parallel economy and fetching increased revenue to the exchequer. However, every reform must have a human face and the fruits of reforms must reach the poorest sections of the society, he said. “Economic prosperity is meaningless if there is no equity in wealth distribution. The initiatives taken up by the Union government such as Jan-Dhan Yojana are aimed at empowering the poor and putting an end to their financial inclusion. 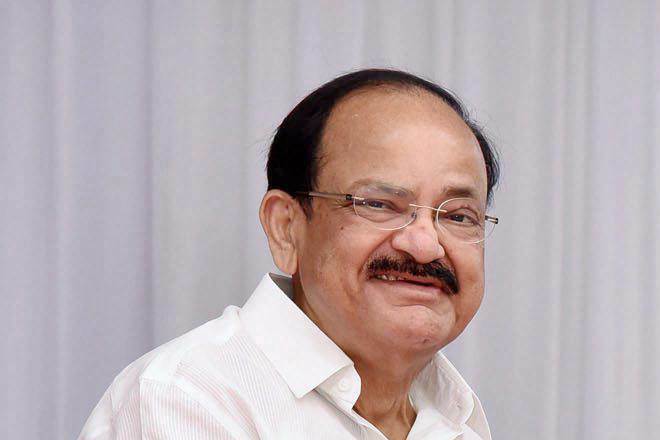 Commerce and Industry bodies like yours must chip in to see that nobody is left behind in the financial inclusion initiative,” Naidu told the gathering. I am delighted to participate in the 90th year celebrations of the Indian Chamber of Commerce and Industry, Coimbatore. Ninety years is indeed a major milestone in the journey of this organization which was witness to the birth of Indian Republic and many other momentous events since it was formed in 1929 by Sir R K Shanmukham Chetty, the First Finance Minister of Independent India. 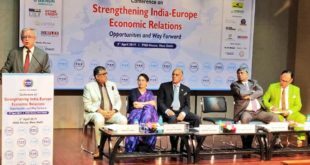 Since then Indian Chamber of Commerce and Industry Coimbatore has been serving the cause of trade, industry and services since then and fostering the economic development of the this region. I am happy to note that the members of this organization are investing their time and money in community development and working for civic and cultural well-being of the area. With over 1671 members with 96 affiliated associations and with their members of nearly 10,000, the Chamber represents a wide spectrum of merchant establishments of Coimbatore – from the manufacturing of pump sets, engineering, auto components, software development centres, IT solutions, BPO companies, clean-tech industries like wind, solar power and electric vehicles industry, State-of-art educational institutions, world class hospitals and medical facilities, textiles and garments, among others. I am also glad to know that the Chamber launched a crusade against destruction of tanks in and around Coimbatore which culminated in the announcement by the State Government in 1992 that construction on tank lands would not be permitted. I am told that with active support of the members, the chamber took initiative for reviving Noyyal canal system, De-silting of Valankulam these efforts towards environmental protection are truly laudable. The world is changing at a rapid pace aided by technological and digital revolutions. Any nation unable to keep pace with the changes will become a laggard. India is at the threshold of becoming one of the major economic powers and the private sector can play a huge role in accelerating the growth and development of the country. Tamil Nadu is among the States which are in the forefront of industrialization. This State is known, among others, for the automotive, leather and textiles industries and the hard working nature of the population. To spur growth, we have to improve infrastructure, resource efficiency and promote innovative technologies. Reformative measures like the introduction of GST will improve the economy in the long run, although there might be some teething problems in the initial stages of implementation. In the end, such reforms will also benefit the consumers. With various measures taken by the government to step up economic growth, including FDI in various sectors and given the strong macro-economic fundamentals, India will continue to grow steadily. India has now emerged as one of the fastest growing economies in the world today. If this trend and momentum continues, India is poised to become the largest economy in the next 10-15 years. We in India are all committed to build a five trillion-dollar economy by 2025, making India the 3rd largest consumer market in the world. The latest report of the World Bank has forecast that the economy is projected to grow at 7.3 per cent in 2018-19 and 7.5 per cent in the next two years. IMF has forecast that India will grow at more than 7 percent in 2018 and 2019, ahead of other major economies. India has climbed 30 places in the World Bank Ease of Doing Business Index this year. India is rapidly expanding its infrastructure. For instance, over 9829 Km national highways were constructed during the year 2017-18 as compared to 8231 km during the previous year. The policy initiatives taken by the Indian government such as Make in India, Skill India, Digital India, Smart Cities and Start-up India are opening up new opportunities. We have seen a strong global confidence in the India story with a surge in Foreign Direct Investments which reached over US $ 62 billion in 2017-18. The Government has taken several measures to cut down red tape, improve the ease of doing business, attract more investments and create a business-friendly environment. Demonetization and the introduction of GST were landmark initiatives aimed at ensuring transparency, eliminating parallel economy and fetching increased revenue to the exchequer. These initiatives have led to change in the attitude of the people as evidenced by increased tax compliance. Similarly, bankruptcy and insolvency code and the measures taken to unearth black money and curb corruption will further improve our economy. As a matter-of-fact, Chambers like yours should promote tax compliance and launch campaigns against corruption and black money. It should be remembered that improved collection of taxes will only enable the government to spend more on developmental activities and welfare of the people. However, every reform must have a human face and the fruits of the reforms must reach the poorest sections of the society. Economic prosperity is meaningless if there is no equity in wealth distribution. Commerce and Industry bodies like yours must chip in to see that nobody is left behind in the financial inclusion initiative. Chambers act as bridge between the governments and the industry in creating conducive atmosphere for the businesses to thrive and produce wealth. They also play a formulating role in advising the governments in enacting legislations and regulations that promote ease of doing business rather than act as strangulations. Chambers should promote ethical corporate governance, tax compliance and corporate social responsibility among its members. Corporate sector should not get confined to the statutory requirements of CSR, but take up much more activities for betterment of society as ‘Share and Care is the core of Indian philosophy ’. I advise Chambers like yours to adopt some government schools and contribute towards improving the infrastructure as part of your CSR activities. I have been always stressing that the government, Parliament and press must accord highest priority to agriculture, education and health. Agriculture and Industry are like two eyes of our nation and Agriculture is also our basic culture. So focus your CSR efforts on help the farming community to realize the vision of the Prime Minister, Shri Narendra Modi to double the income of farmers by 2022. No doubt, it is a tall order. But nothing is impossible to achieve if there are concerted efforts by all stakeholders. Perhaps, the Chamber of Commerce can even identify the felt needs of a given area and take it up on your own. The Chamber can be the centre sphere of influence in community and governance issues and provide innovative thoughts to those in power. Your body can also play a vital role in promoting ‘Skill India’. The need of the hour is impart employable skills to our youth. India is blessed with a huge demographic advantage as 65 per cent of our population is below the age of 65. We need to unleash the energies of our youth to develop India into a manufacturing hub and one of the top economies. In fact, the Chamber should help in promoting cottage industries in the rural areas based on the local resources in each area. It will not only help in providing employment to the youth, but also prevent migration of people from rural areas. As you all are aware, urbanization is an irreversible modern-day phenomenon and cannot be fully curbed. However, we need to make our rural areas vibrant hubs of economic activities through multiple efforts on various fronts, including education, health, industries and agriculture. As regards healthcare sector, the members of your chamber should supplement the government’s efforts under CSR activities. I am happy to know that the chamber has played an important role in getting new railway lines, developing Coimbatore airport into an international airport and establishment of Coimbatore Stock Exchange, among others. I am also glad to learn that you have been organizing interactive meetings with diplomats of foreign countries to promote bilateral trade. My best wishes to Indian Chamber of Commerce and Industry, Coimbatore for all its future endeavors.